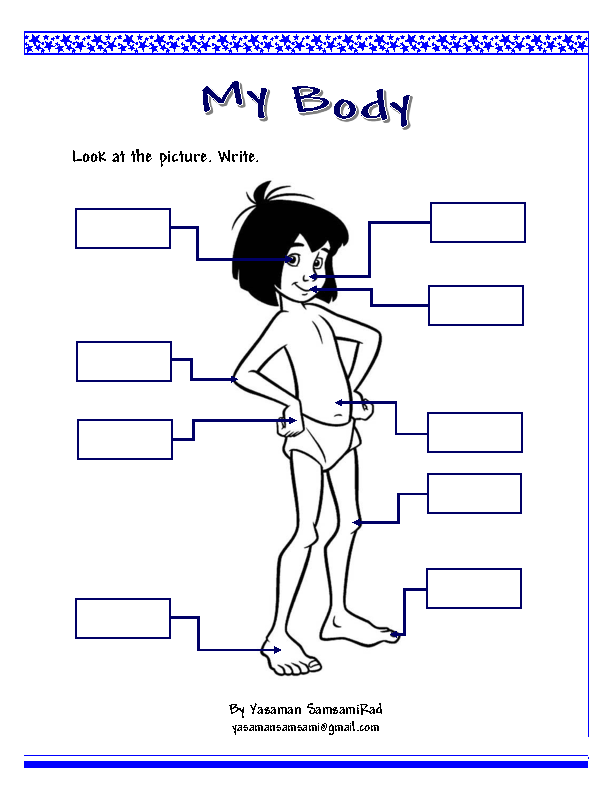 This worksheet contains an activity in which the students are asked to look at the picture and write the body parts, eye, nose, mouth, hand, stomach, elbow, knee, foot, and toe. It is appropriate for elementary levels, particularly kids. You may find it useful at the study part. Hope it helps.